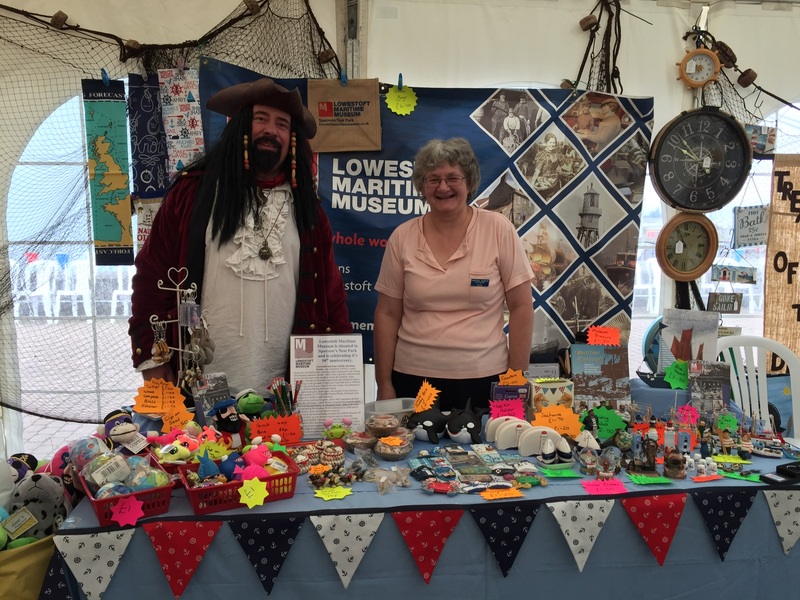 For the 19th year in a row the museum had a colourful stall at the Great Yarmouth festival. It was a busy weekend meeting,greeting and talking to people about the museum. A good chance to advertise and encourage people to visit us. We took in excess of £250 over the weekend and every customer received a museum leaflet so at least 200 given out. This also gave us an opportunity to talk to other museums and organisations and as they say ‘network’.Many thanks to all those who came and manned the stall for the weekend, without you it wouldn’t be possible. Watch this space for next year. Myrtle we hope we did you proud.